Today, July 27 2017, FEMEN sextremist Anna Allein held a protest action “Putin kills” against Russian aggression. FEMEN sextremist hung crucified on the monument to Prince Vladimir, the Baptizer of Kievan Rus. We consider this religious procession, conducted by the hostile to our country organization called “The Moscow Patriarchate”, is inadmissible at the time when our defenders are dying from Russian aggression in Donbas. The Moscow Patriarchate has been the source of anti-Ukrainian hysteria for many years, and today its priests bless the war against our country, propagandize dictatorship and obscurantism. The procession of the Moscow Patriarchate through the streets of Kyiv is a “silent march” of the Kremlin aggressor, after which heavy armored tanks may come. We must not put up with the situation when the Gundyaev’s agents occupy the Vladimir Hills, trying to desecrate Vladimir the Baptizer by glorification of Vladimir the Warmaster. Today, Putin and his accomplice Gundyaev are killing Ukraine, trying to tear it apart, so the Moscow Patriarchate is nothing but a terrorist organization that openly operates in our deep rear. 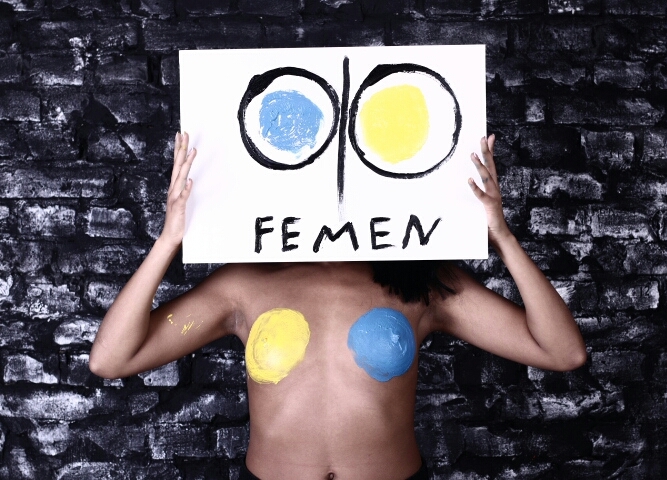 On the Day of the Baptism of Rus in 2013, activists of the FEMEN movement were abducted and severely beaten. This shows the true face of the terrorist corporation “The Moscow Patriarchate”, for which the so-called Christian values are just a showcase.